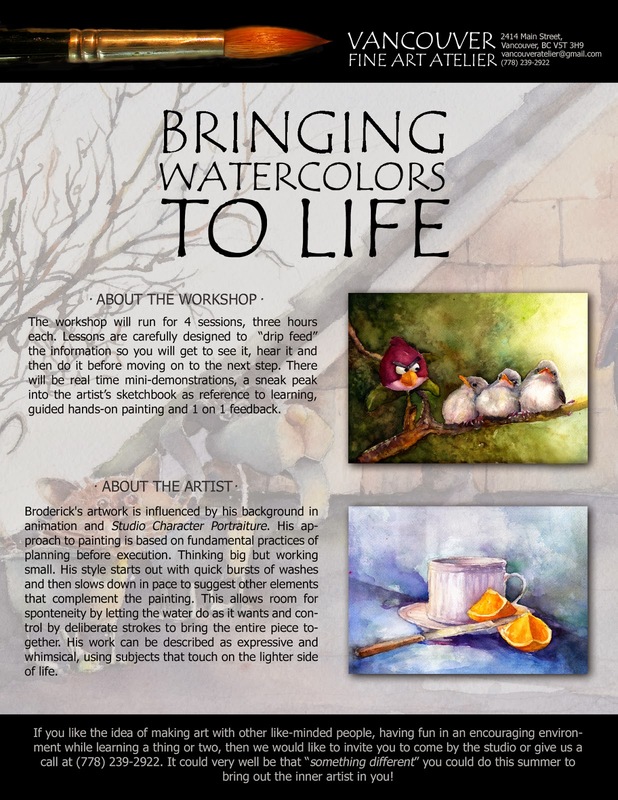 Join Broderick as he shows you how to create the illusion of life with watercolors. You'll learn foundational skills that build on each other as the days progress. You will learn how to unlock a variety of hues from just 3 colors, how to paint “wet on wet” and other tips to achieve that 3 dimensional watercolor look in your painting...without the information overload. 200$ for 4 three hour classes. Please register in advance, space is limited to 5 people. This is open to beginners, no drawing or painting experience necessary.